The voice actor behind Sonic the Hedgehog will reprise his role for Wreck-it Ralph. When the Sonic the Hedgehog Wreck-it Ralph cameo was announced, Sega fans went a little nutty. 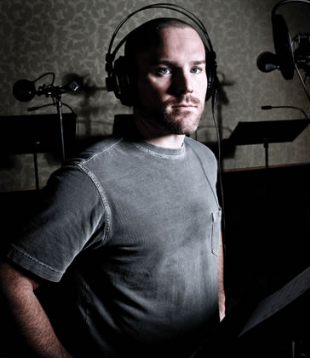 Now the voice behind the signature blue speed freak has been revealed as Roger Craig Smith, the actor who voiced Chris Redfield, Ezio Auditore and Sonic himself, among many others. Smith has been the current voice behind Sonic the videogame character since 2010, so his role in Wreck-it Ralph is art imitating art imitating life, I suppose. Smith also has a ton of animation credits to his name, many of them for Disney, and just about as many video game appearances. In an interview discussing his role as Chris Redfield in the Resident Evil series, Smith joked that he'd once tried to hold a three-way conversation in Starbucks with himself as Ezio, Redfield and Sonic. "So, after my friend had to bail me out of the local mental hospital, I realized it's not worth it to try that." If he ever does tries that again, at least Sonic will have something new to talk about.